Discover Siena with Italy Travel Tours offering a number of guided and independent tours that include the romantic hill towns of Tuscany. When we think of visiting the treasures of Italy, many have never heard of the Ospedale Santa Maria della Scala. It sits in the Piazza del Campo, across from the front steps of Siena’s famous green and white marbled Duomo. Originally founded as a hostel for pilgrims in the 9th century it continued to be a place of refuge for the sick, poor, orphaned and needy until 1995 when it was transformed into a museum. It is known as one of the oldest hospitals in Europe. Step inside and you find yourself in the Sala del Pellegrinaio or Pilgrim’s Hall. A former hospital ward with its towering walls dominated by a cycle of frescoes. It’s a beautiful example of 14th century medieval architecture. 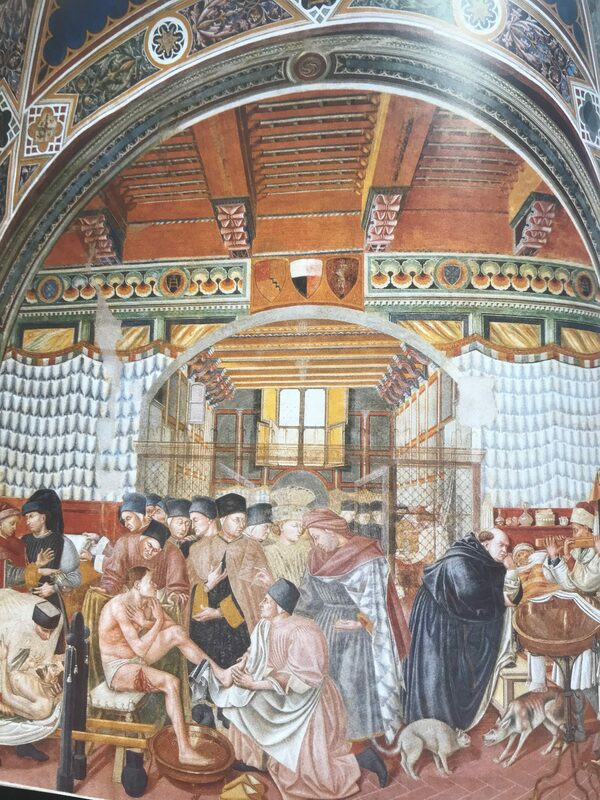 As your eyes adjust to the light you will see each ancient fresco depicts everyday life as it was in the hospital. Sienese artists including Domenico di Bartolo realistically depict the care and treatment of the sick. The imaginative traveler can smell the metallic odor of blood and hear the hungry cries of the orphaned infant. Ospedale Santa Maria della Scala is a must see when visiting Siena. Siena is a Tuscan town of many treasures. Discover Siena with ItalyTravelTours offering a number of guided and independent tours that include the romantic hill towns of Tuscany. 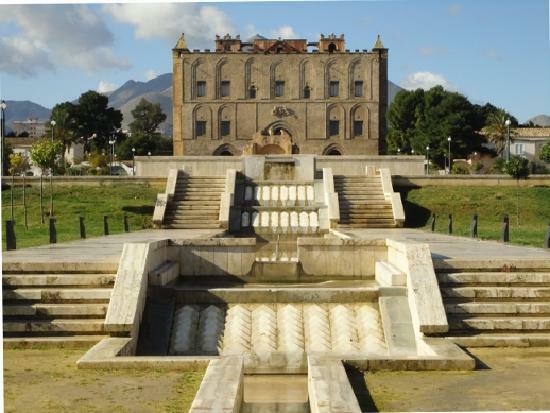 In addition to the famed World Heritage sites of Syracuse, Pantalica Necropolis, Mt Etna, the Baroque town of Noto, the volcanic Aolinean islands and Greek Temples of Agrigento, in 2015 several of Palermo and around Palermo sites joined the list of UNESCO World Heritage sites. 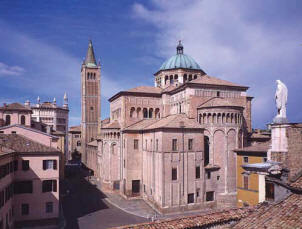 The Plazzo della Zisa and other exclusive Norman buildings have always been the city’s unique architectural treasures and well deserve a prominent record on this prestigious heritage list. The golden Byzantine-style mosaics of the Norman cathedrals of Monreale, Palermo and charming Cefalu can be paralleled to only a few churches in the world. As part of the 2018 festivities the famed Teatro Massimo known for its fastidious audience scheduled extra performances for the period with well known large scale operatic performances like Verdi’s Nabucco and Puccini’s Turando among others. A visit to unique multifaceted Sicily should be on everyone’s bucket list from beach lovers to nature buffs, lovers of antiquities and history and appreciators of culinary adventures. In addition to being a cultural capital, in 2018, Palermo will also host Manifesta 12, the European Biennical of Contemporary art drawing extra visitors to this intriguing city. 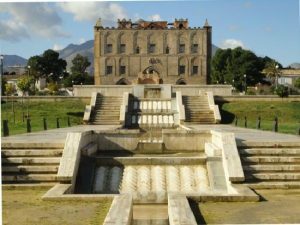 The best time to tour around Sicily is in the winter and spring months to avoid the heat and crowds. We offer several tours in Sicily as well as Sicily-Malta combination tours. The Festival Verdi 2017 in Parma will take place from 28 Sept to 22 Oct and will host great conductors and directors, young talents and famous soloists. The main events of the program will include 5 operas: Jerusalem , Falstaff and Messa da Requiem at Teatro Regio di Parma, together with elegant and prestigious concerts. The unique and magnificent Teatro Farnese will host the production of Stiffelio In Busseto at Teatro Giuseppe Verdi La Traviata. For the first time there will be the opportunity to combine even 4 operas in the same week. Christmas season has now become a popular time to travel. And what about you? Are you having trouble deciding where to go? If you are looking for the best place to take a break during the Christmas time, you can find here a list of popular destinations in Italy. Some of Italy’s cities go all out for the holidays, including New Year’s Eve dinners, events, concerts and much more. 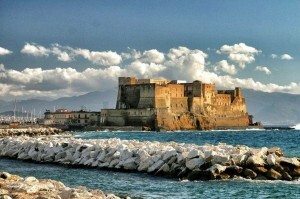 Naples is one of the most popular spots for Christmas travel in Italy. There are many events and traditional entertainment planned for Christmas Eve or Day there. This city boasts many holiday traditions. As a case in point, Italian-American tradition is on display, which is called the “feast of the seven fishes”. To be more precise, people celebrate Christmas Eve with seafood seven ways. Apart from that, you can find Naples most important Christmas Market in the traditional sense. Shop along Via San Gregorio Armeno to find unique gifts and to experience the Neapolitan Christmas Eve dinner. In addition to having superb shopping, visitors can watch spectacular fireworks displays. It will probably be the best Christmas vacations you will ever experience. Rome at Christmas is a blast with its festivities. Admire 100 nativity scenes on display throughout the city. 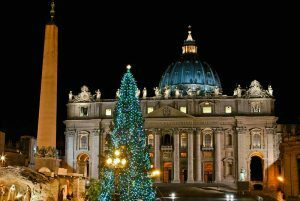 Get into the church for Midnight Mass on Christmas Eve at the Vatican. You can watch Pope lives that will get your heart racing, as going at St. Peter’s Basilica. In the event you’re a fan of things decrepit, you can take the opportunity to shop, where you will find intricately painted tree ornaments. Just go in Piazza Navona for a Christmas market. 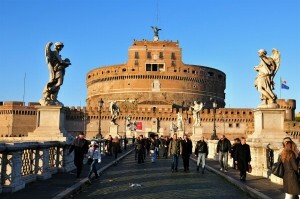 Rome also offers great food, wine and breathtaking scenery. On the other hand, you can watch street performances. However, transportation during Christmas day in Rome can be tricky, so you could hire a car, just click here. It would also be the best way to discover all the events happening during the season. Are you taking off on a holiday this Christmas? 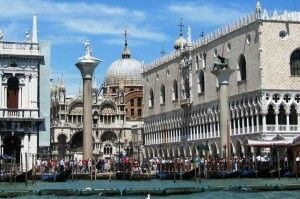 Head to Venice, which is one of the best resorts in Italy for Christmas holidays. 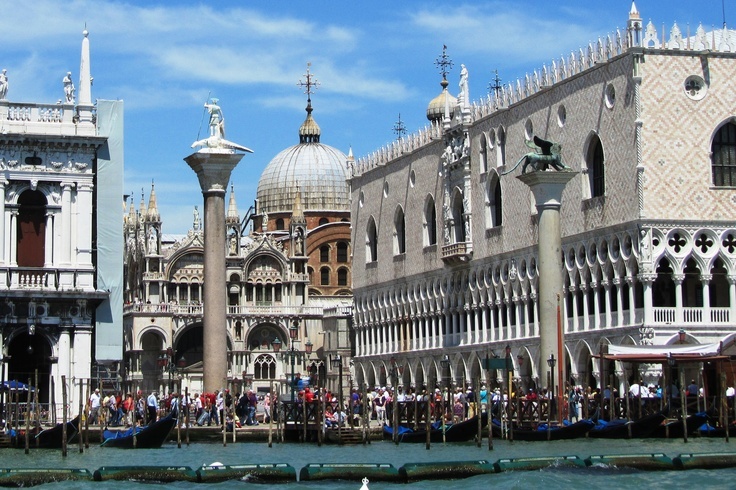 With its narrow canals and ancient palaces, there are part of the history of Venice. There are many Christmas inspired markets where people can sell unique works of art. On top of all that, this city offers plenty of delightful Christmas concerts. For example, you can attend a classical concert at Teatro La Fenice. But no Christmas in this city would be complete without uncovering the tallest glass Christmas tree in the world, resides in Murano. Why not make any trip to Tuscany? Tuscany has something for everyone! All the mesmerizing historic countryside villas and palaces makes it onto every best destinations. You can visit its medieval village in order to enjoy the magical atmosphere of the city. There are lots and lots of music. Tuscany also displays colored lights that illuminate the nights. And you can enjoy events, festivals and delicious food. If you are thinking about renting a hotel or a villa to stay, it is recommended to book it in advance. Moreover, staying in a beautiful villa or hotel would be authentic. By this way, you can spend a unique and unforgettable day during that big day. 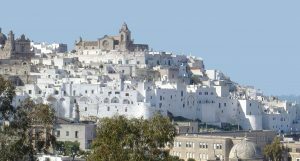 Our newest South Italy tour destination this year is the less frequently visited south, the regions of Basilicata and Pulia. We offer these tours with Rome or Sorrento departures for those interested in less trendy and crowded destinations, having already visited the most sought after Italian regions of Amalfi Coast and Tuscany. One of the highlights of this tour is Matera with its houses carved in the tufa rock that resemble Cappadocian underground cities. The style of architecture is actually originated from ancient Anatolia and initially imported to Italy by Byzantine monks. 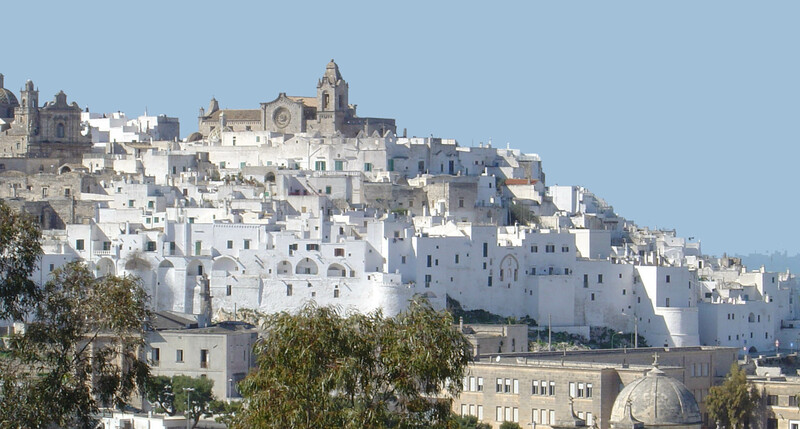 The region has vast fields and palm groves neighboring snow-white towns like Noto or Lecce where you can easily feel getting lost in the maze of side alleys hiding little churches off main squares. Lecce is the Baroque capital of Italy with white washed buildings dating back to the end of the XVI century and the first half of the XVII century with the church of S.Oronzo, the Basilica of Santa Croce, the Celestini Palace being some of the most attractive sites of the city. An other highlight of the tour is the village of Alberobello with its unique cone-shaped dwellings, a UNESCO World Heritage site or the Greek fishing village of Gallipoli (Kallipolis) on the shores of the Ionian sea at the “heel of the Italian Boot”, in the region of Pulia. A quiz……..how well do you know Cinque Terre? Another light-hearted quiz in our summer series. Answers at the bottom of the page but NO CHEATING! The Cinque Terre villages are : Monterosso al Mare, Vernazza, Corniglia, Manarola and….? In the Cinque Terre, houses are painted in many colours. Why? In October 25, 2011, how many were killed in the famous floods? The villages grew under the military and political supremacy of? Monterosso has a local specialty designated with a Protected Designation of Origin status from the European Union for what? Grappa, a local liqueur, is made from? Cinque Terre is, from Turin? Pesto — a local sauce, is made from basil leaves, garlic, salt, olive oil, pecorino cheese and? Some are easy, some a little more difficult but how many of the following well known Italian travel destinations can you identify? A clue is given with each picture. Answers at the bottom of the page but NO CHEATING! Originally the Flavian Amphitheatre, capable of seating 50,000 spectators. The oldest important building in the world with its original roof intact, albeit with a large hole! Another in our series of lighthearted travel quizzes. How well do you know Italy? Here are ten well known Italian palaces or castles. Can you identify them? A clue is given with each and the answers are at the bottom of the page. Some ‘dodgy’ dukes lived here? The Pope has an underground escape tunnel to this one? Decorated by da Vinci, now a series of museums, the original owners never shopped in the local Prada or Armani? ….with a Spanish name and situated on a pretty island? Goethe was arrested here, on Lake Garda, for ‘suspicious-sketching’…….? The name of comes from a legend that Virgil put a magical egg into the castle’s foundations? 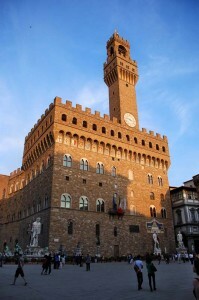 The symbol of the power of Florence? 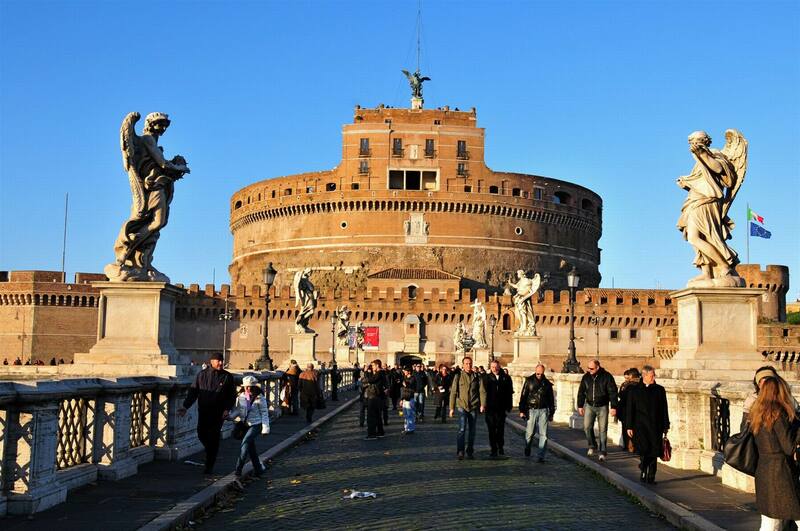 The ‘wedding cake’, loved by tourists, hated by Romans! Built for the Bourbons, the largest palace in Europe built in the 18th century? It’s so well known, it stars on the reverse of the Italian one euro coin? 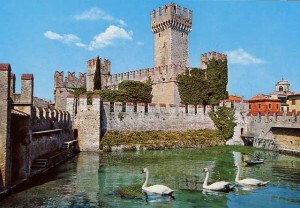 Castles and palaces in Italy? 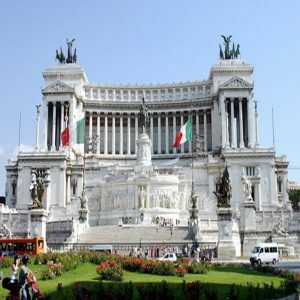 Book an unlimited return ticket to see them all…… However if you want to see the best and you haven’t got years to spare, have a look at https://www.italytraveltours.biz./ for the very best choice and price on Italian tours and vacations. Is Pasta REALLY GOOD FOR YOU? 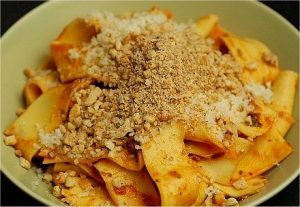 Staples of Italian cuisine, pasta dishes are favored by most of us due to their comforting and mind calming effect, their affordability and the variety of innovative ways to prepare them fast. Most health and weight conscious people however, try to stay away from pastas due to their high glycemic index and gluten content with increasing number of people developing some kind of recognizable gluten sensitivity nowadays. Surprisingly however, according to some of the latest research, pasta diet is actually good for you. The IRCCS (Istituo Neurologico Mediterraneo Neuromed) analyzed more than 23 thousand people from different Italian regions. Their result established, (though hard to believe), that eating pasta on the regular basis is actually good for you. Men and women alike who enjoyed pasta as part of a regular Mediterranean diet with fresh vegetables like tomatoes and onions, legumes, seafood, and olive oil, had a lower body mass index, smaller waist circumference, and lower waist-to-hip ratio. So with that in mind you might be interested in learning the secrets of Italian cooking on customized cooking tours offered year round in Sicily or other parts of Italy. Memorial day for Italians is June 2nd each year a celebration of the new summer season and the day of remembrance: Republic Day. The Festa della Repubblica Italiana is celebrated to commemorate the birth of the Italian Republic. On June 2 and 3 1946, following the fall of Fascism and the end of World War II, an institutional referendum was held in which Italians were asked to vote on what form of government they preferred, either a monarchy or a republic. The majority of Italians favored a republic, so the monarchs of the House of Savoy were exiled. On May 27, 1949, lawmakers passed Article 260, cited June 2 as data di fondazione della Repubblica (date of the founding of the Republic) and declared it a national holiday. Republic Day is a nationwide public holiday in Italy, schools, organizations and businesses are closed. Many Italians attend official ceremonies, military parades or the laying of a wreath at the Tomb of the Unknown Soldier, inside the Altare della Patria, part of the Victor Emmanuel Monument, in Rome.